Individuals with substantial assets who are in divorce proceedings have particular needs to ensure that their interests are protected and that a settlement of their property and other issues are resolved in a satisfactory manner. High net worth individuals are typically those whose annual income is at least around $500,000 and have significant investment and business interests. It is always in the best interests of all parties that a resolution of all material issues be achieved without protracted litigation. To accomplish that, your attorney may have a professional team in place to valuate assets, determine how the tax laws can impact transfers of property and give advice about estate planning. You should be prepared that your spouse may use his or her own valuations that may be significantly at odds with yours. An investigator may be needed if there are indications of hidden assets, or you suspect your spouse made an illegal transfer of property to a third party or made fraudulent statements in a financial statement. Many high net worth divorces involve reviews of complex and voluminous documents that require expert examination. 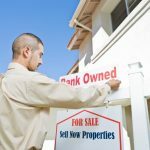 It is not uncommon for experts to arrive at different conclusions about property valuations, business appraisals and what constitutes separate property. For children of the marriage, there are the same issues and factors that a court will review in determining if only one party should have legal or physical custody or whether joint physical and legal custody is in the child’s best interests. In these types of dissolutions, one spouse may argue that he or she is entitled to considerable support payments. This is often a major issues in matters where the parties have lived a lavish lifestyle and the marriage has endured for several years. 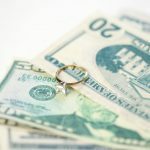 In cases where the parties are entering into the marital relationship with substantial non-marital assets, or even where one of the parties has considerably more wealth than the other, the parties may have drafted a prenuptial agreement. 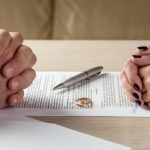 Such agreements can limit the amount of spousal support and how property is to be distributed if the marriage dissolves. They can also limit how gifts and inheritances received during the marriage are handled including how income from the growth of such assets are distributed. Children’s inheritances, business interests and other assets may be addressed as well. Prenuptial agreements must have been drafted with full financial disclosures by both parties and be considered fair at the time it was drafted and at the time of the divorce. In cases where one party is considerably disadvantaged by the terms of the agreement, there can be litigation to void the agreement. High net worth divorces are different from other dissolutions because of the amount and value of the assets concerned, the willingness and capacity of parties to litigate and protect their interests and the need for multidisciplinary professionals. 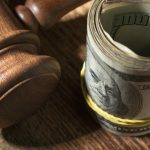 If your divorce involves considerable assets, consult family law attorney Jason C. Matalas who has experience handling the unique issues that arise in such cases and can see that your interests are well protected.